The Governing Council of the Abubakar Tafawa Balewa University (ATBU), Bauchi, has appointed a new Vice Chancellor. He is Professor MA. Abdulazeez. In a statement signed by the Secretary to Council and Registrar of the University, Dr A.G. Hassan, the new Vice chancellor was confirmed by the Council during its 26th Special meeting held on Saturday, 6th April, 2019 based on recommedation from the Joint Council and Senate Selection Board of the University. Professor Abdulazeez emerged first to beat two other contestants for the post. The statement added that the tenure of the new Vice Chancellor will be for a period of five years beginning from 26th April, 2019, in accordance with Universities Miscellaneous Provisions Amendment Act, 2003. 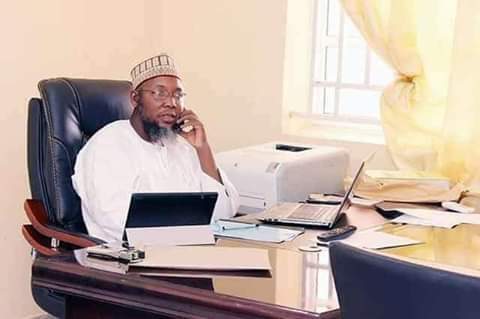 Until his appointment, Professor Abdulazeez was the Deputy Vice Chancellor (administration) of the University and he is a Professor of Physics.